* As Seen In Tree Care Industry Magazine * Introducing the only chainsaw pants sized like your regular pants - with waist and inseam measurements. What customers love: "cut to fit; cooling features; breathable and flexible fabric." Our customers have been asking us for years to make chainsaw pants. Well, we listened. We talked to customers, surveyed more than 1,000 members of the tree care community, developed prototypes, field tested, and found ways to improve. Finally, we're ready to share what we believe are the best-fitting chainsaw pants on the market, with the features that are most important to our customers. These pants give you standard waist and length sizing, so there's no guesswork involved in finding your fit. And why is finding your fit so important? Because PPE that fits you better increases your safety on the job. I purchased these chainsaw pants at a TCIA Expo. I've worn them in 95 degree days. Keep the vents open and drink water. They are easy to wear all day. Makes me feel safer when I'm wearing them. Great quality and sizes fit great. 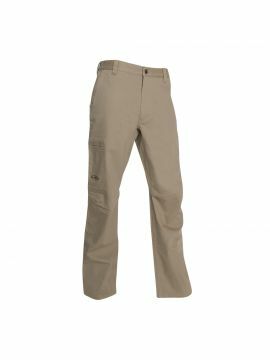 I would recommend these to anyone looking for great chainsaw pant. I have used first gen Clogger Zeros, Pfanner Gladiator Vents, and Arbortec Breathe flex. These are the best by far. They took all the little quirks and nuisances about other pants and found solutions to them all. These are light weight, durable and very comfortable. They have wraparound protection on the ankles which I haven't seen on any other pants. A problem I had with my Zero's was that when they got small holes in their outer shell, saw dust and other grime would over time trickle in the hole until there would become a build up in the bottom of the leg below the hole that would also bind up in the fibers. Arborwear has incorporated a barrier between the protective pad and outer shell and left the the bottom cuff open so that if the same situation ever arises, all the junk will fall through. 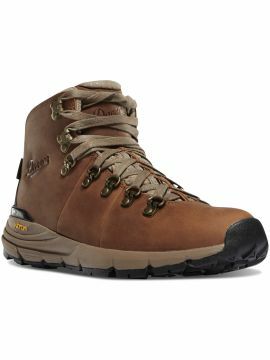 I am very impressed with them after a couple months use. Excellent quality and attention to detail, I especially like the way the pockets zip down to close hence no sawdust in your pockets! Very smart and professional looking trousers, very well thought out. I like the vertical vents in the back of the leg. They seem to allow far more air flow through the leg. The material on the inside is comfortable against my skin. It feels cooler in the hot, humid temperatures. Perfect for climbing. The material is breathable. I did not overheat. What I like about the Arborwear chainsaw pants is that they are cut to fit. They don’t have a small-medium-large, it is the same as your normal pants sizes. I really like these pants! The sizing is easy and the fabric is durable and holds up well on the job. I love the knees and the pockets. These are a true climber’s pant. The pocket orientation works well with my saddle set up. The wicking interior material really helped in the heat and humidity of the long days cleaning up IRMA.